I'm so proud of the FireMarshall...Check out the press release below that went out today. BETHESDA, Md. 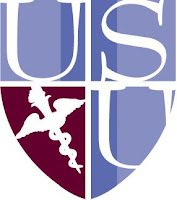 — Uniformed Services University of the Health Sciences’ (USU) Center for Health Disparities Research and Education (USUCHD) and the Steptoe Group, LLC have entered into an agreement to research, develop and implement a culturally competent interdisciplinary educational training program for mental health providers and practitioners. The program is designed for health providers with the expertise and capacity to deliver high-quality services that are patient-centered, evidence-based and address the mental health needs of vulnerable populations within the military community. The partnership will address the lack of health care provider and practitioner training, educational resources, uniformity and systemic impediments that exacerbate cultural, economic, familial, and regional geographic challenges contributing to disparities in health and health care. This is generally applicable when applied to mental health and mental health care issues found among military and veteran populations. Dr. Tracy Sbrocco, USUCHD Director of Research (center), President and CEO of the Steptoe Group, LLC, Ronald Steptoe (right); and C.J. Jordan, sign a partnership agreement to develop an interdisciplinary educational training program. The Steptoe Group, LLC and USUCHD shall work in concert with each other to research innovative solutions to the health care challenges facing the military and veteran provider and practitioner communities, including but not limited to the ability of health care providers and practitioners to adequately screen, diagnose, treat, and manage service members, service member’s families, and veterans in a culturally competent and patient- centered manner when implementing evidence-based best practices. This includes managing and sharing information, delivering a standardized and effective mental health provider and practitioner training throughout the military and veteran communities. The programs will include, but are not limited to the following tools: DVD, Web Based Training, Web Based Certification, and Train- the-Trainer workshops. Located on the grounds of Bethesda’s National Naval Medical Center and across from the National Institutes of Health, USU is the nation’s federal school of medicine and graduate school of nursing. 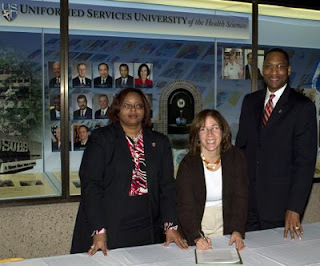 The university educates health care professionals dedicated to career service in the Department of Defense and the U.S. Public Health Service. Students are active-duty uniformed officers in the Army, Navy, Air Force and Public Health Service, who are being educated to deal with wartime casualties, natural disasters, emerging infectious diseases, and other public health emergencies. The USUCHD has renowned expertise in systemically assessing reasons for health and health care disparities and expertise in developing and implementing educational initiatives that aim to teach providers the key tools and skills to deliver high quality care to diverse populations grounded in patient centered methodologies to significantly enhance health care education, research, and practice. The Steptoe Group, LLC and its strategic partners have developed expertise through successful past performances in Concept Refinement, Technology Development, System Development, Demonstration, Production and Deployment, as well as Operations and Support. For more information, contact the Office of External Affairs at (301) 295-1219 or visit the USU Web site at: www.usuhs.mil.